I know it sounds off-topic, or that I have a fetish with all things vintage, but the reality is that a lot of my EPROM data and other files were kept on 5.25″ floppy disks back in the 80’s. Getting at these files has been somewhat painful. 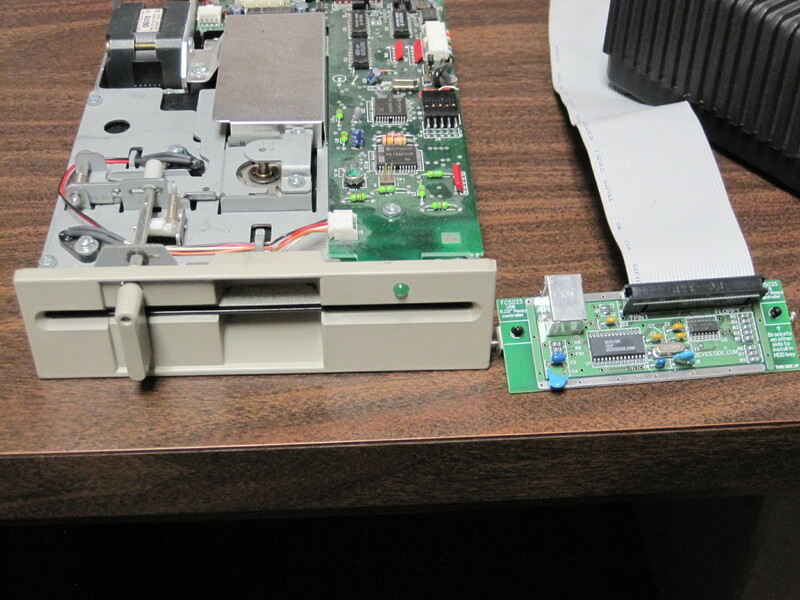 But now I have compiled the parts to built my very own USB Floppy drive for 5-1/4″ disks. And it works! Now I just need an enclosure to make it a bit more transportable. So if anyone in OC-land or LA-ville needs to read a floppy, I can do it! 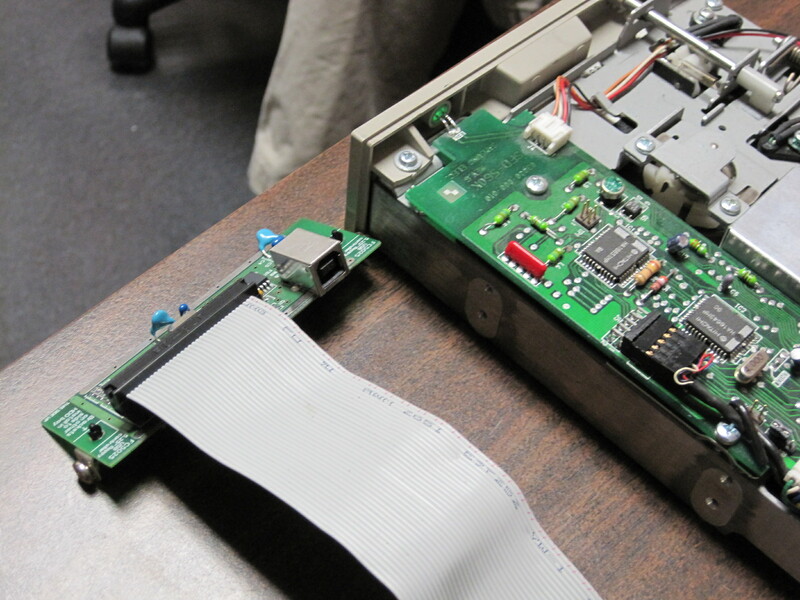 This entry was posted in Uncategorized and tagged 5.25", EPROM, floppy, USB 5 1/4". Bookmark the permalink. Would you mind sending the specs? I have an old 5 1/4 drive that I need to convert to USB. I do not mind building it or if your costs are reasonable I might pay you to make me one and ship it to Boston. I would prefer the do it yourself route though. Can you send a scribble? This sound useful to me. Better than copying all my disks to cd! I can make up a board. Hi, I don’t know what a scribble is. It was difficult to gather the parts and get it to work… there is no easy paint-by-numbers solution that I know of. I would also be interested in looking at what you have. 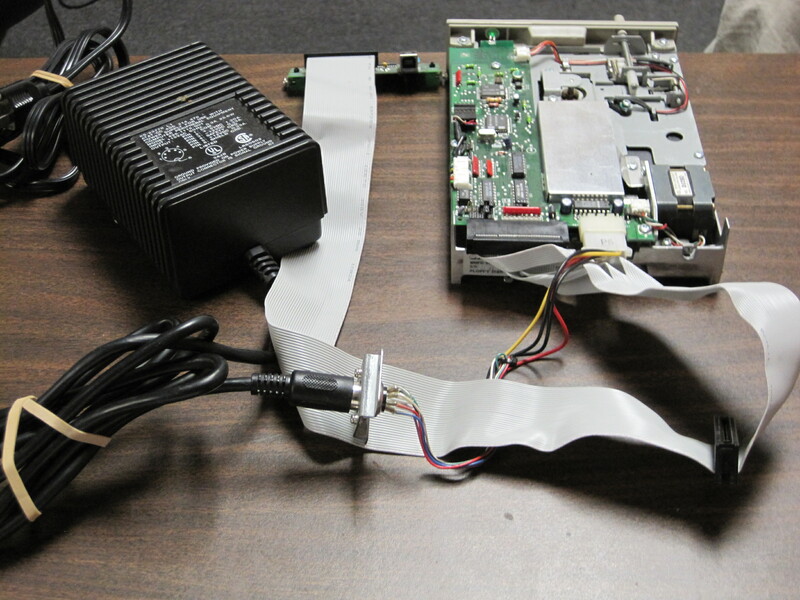 If you could just write down the basic components, motherboard/hardware, flash disk, etc, you used to make this, I would like to see if I can replicate it. I have a PC integration and sysops background. I am pretty sure I could do this with the right inspiration. Please send private mail, or update here on the blog, either will do. There is a board available that works with some 5 1/4″ drives, FC5025, from deviceside.com . 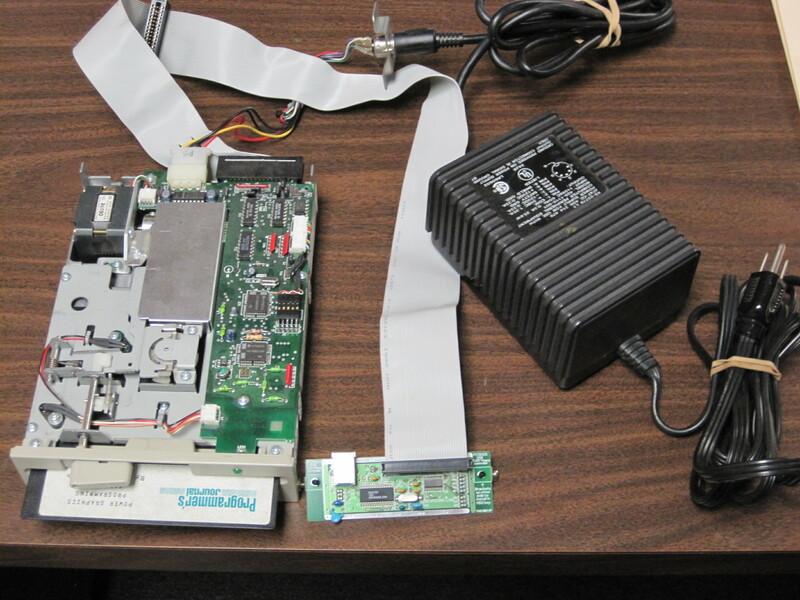 You take the board, a power supply and a supported drive and you are off to the races. The software is kind of crude, but it works. So… can you show us what you made? Or not? I have updated the original post with photos. I also have one 5.25″ unit that i had to remove from old PC, now i can not read 5.25″ floppys anymore. I want to make my 5.25 unit a USB extrenal; i can made my own enclosure for it with syntetic crystal (transparent), but that power suppy unit seems really odd (very big and heavy). What is that PCB you have on the photo and where can i get one of thoose? Note: The main use would be for Linux 5.25 floppys (old EXT2 floppy format), but also i have some floppys that are in Windows format (aka, FAT).